Dig into your first garden adventure with these 10 basic tips. Spring is a good time to begin growing and digging, although planning can take place before the snow melts. Gardeners spend most of the summer watering, weeding, and watching young plants grow. Fall is a good time to plant trees, shrubs, bulbs, and some perennials. Get an idea. Is this going to be a vegetable garden? An herb garden? A flower garden? If you choose to grow flowers, do you want annuals, which you must replant each year but which give color most of the summer? Or do you prefer perennials, which have a shorter bloom time but come back year after year? You can mix any of the above—after all, it's your garden. Just one bit of advice: Start small. 'Tis better to succeed just a little, than to fail grandly. Pick a place. Almost all vegetables and most flowers need about six hours of full sun each day. Spend a day in your chosen spot and watch how the sun moves across the space. It might receive more sun than you think. But don't despair if your lot is largely sunless; many plants tolerate shade. Check plant tags or ask the staff at your local garden center to find out how much sun a plant requires. Put the garden where you can't ignore its pleas for attention—outside the back door, near the mailbox, by the window you stare out when you dry your hair. Place it close enough to a water spigot that you won't have to drag the hose to the hinterlands. Clear the ground. Get rid of the sod covering the area you plan to plant. If you want quick results, you can dig it out, but it's easier to smother it with newspaper. A layer of five sheets is usually thick enough; double that if your lawn is Bermudagrass or St. Augustine grass. Spread a 3-inch layer of compost (or combination of potting soil and topsoil) on the newspaper and wait. It'll take about four months for the compost and paper to decompose. If you don't want to wait or if the area is covered with weeds such as creeping Charlie (Glechoma hederacea), you're better off digging the sod out. Improve the soil. 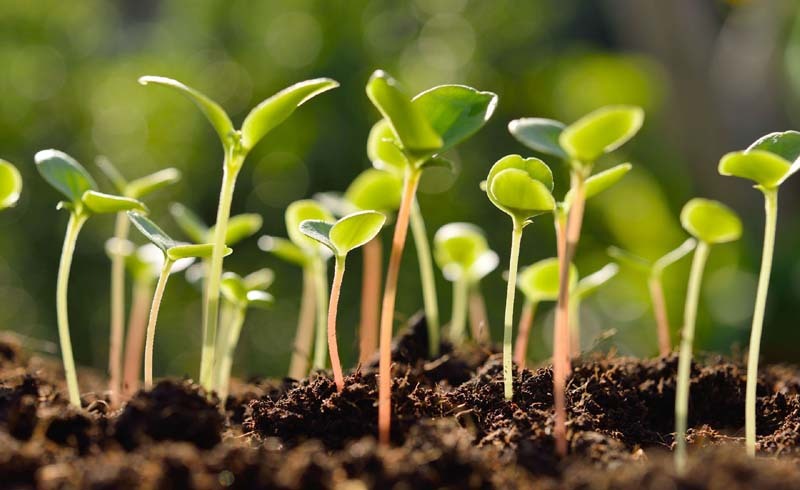 Invariably, soil needs a boost. The solution is simple: organic matter. Add a 2- to 3-inch layer of compost, decayed leaves, dry grass clippings, or old manure. If you dig soil (see Step 5), till the organic matter into the soil. If you decide not to dig or are working with an established bed you can't dig, leave the organic matter on the surface and it will work its way into the soil in a few months. To learn more about your soil, have a soil test done through your county cooperative extension office. They'll lead you through the procedure: how much soil to send from which parts of the garden, and the best time to obtain samples. Expect a two-week wait for their findings, which will tell you what your soil lacks and how to amend it. Dig or don't. Digging loosens the soil so roots can penetrate more easily. But digging when the soil is too wet or too dry can ruin its structure. Dig only when the soil is moist enough to form a loose ball in your fist, but dry enough to fall apart when you drop it. Use a spade or spading fork to gently turn the top 8 to 12 inches of soil, mixing in the organic matter from Step 4. In vegetable gardens and beds of annual flowers, turn the soil only once a year in the spring before you plant. Put them in the ground. Some plants, such as pansies and kale, tolerate cold, so you can plant them in autumn or late winter. Tomatoes and most annual flowers, on the other hand, are touchy about cold, so don't plant them until the danger of frost has passed in your area. Midspring and midautumn are good times to plant perennial flowers. 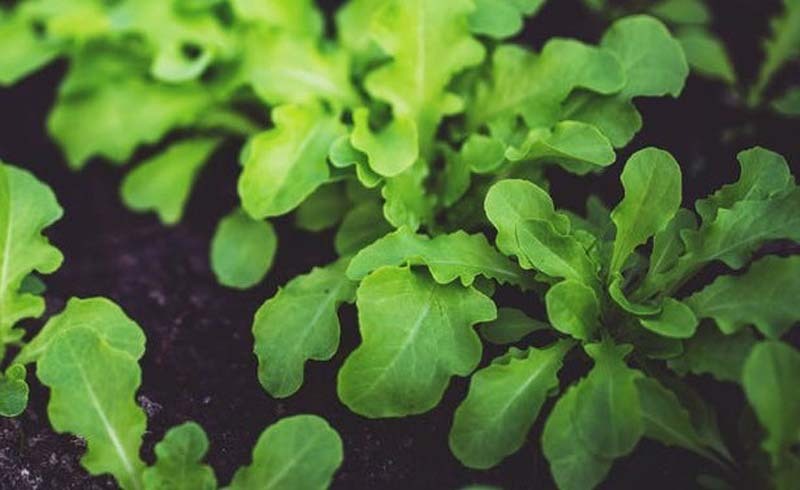 Some plants, such as lettuce and sunflowers, are easy to grow from seed. You can sow them directly in the garden. Be sure to read the seed packet for information about when to plant, how deep to plant, and how far apart to plant the seeds. If you're an adventurous beginner, you can get a head start on the growing season by sowing seeds indoors before the last frost date. You can buy containers or flats designed especially for seedlings, as well as seed-starting soil mixes (available at garden centers). Follow seed-packet instructions, and place the containers on a sunny windowsill or under artificial lights if you don't have window space. Be sure to keep the seeds and seedlings moist but not wet (or they may rot).